From the Minotaur to chupacabra and the Loch Ness Monster to the Kraken, humans have long been fascinated with the mythical creatures of the world. We image the beasts that live in places unknown, in jungles, the seas, the caves, and the woods. But what about the creatures that aren’t myths. What about the creatures that are real? The creatures in this list are legit. They have been found and photographed by scientists and most have a reason that they look the way they do. Here are some of the strangest creatures that have been found in recent years. 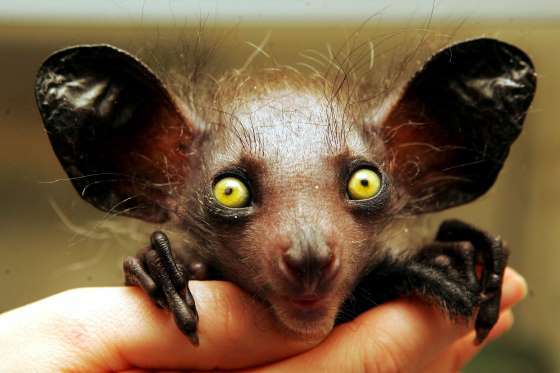 First is the Aye-Aye. This primate is a nocturnal critter that lives in Madagascar. The big ears listen for insect larvae to eat. They dig out the larvae using their skinny middle fingers. Aye-Aye. Image Courtesy of msn.com.